OCTOBER 31, 2015 (DENVER, CO) - Better known as the Créme de Chrome of the Rockies, Colorado’s leading specialty automotive promotions company, Greybeard Promotions, Inc. teams up with O’Reilly Auto Parts each year and are thrilled to announce that Colorado’s most notable indoor automotive event is back! The 19th Annual O’Reilly Auto Parts Rocky Mountain Auto Show opens on Black Friday, November 27, 2015 through Sunday, November 29, 2015 at the Colorado Convention Center located at 700 14th Street in Denver, Colorado. Advance general admission tickets may be purchased at Front Range O’Reilly Auto Parts Stores for $12.00 for adults and children (ages 6-12) for $3.00. Tickets may also be purchased at the door during the event for $15.00 for adults and children (ages 6-12) for $5.00. Built from the ground up each year, this event showcases the diversity within the automotive industry, including everything from one-of-a-kind custom creations and flawless restorations, to rolling exhibits of mint condition originals. In addition to hundreds of special interest vehicles and motorcycles, the event will also include dozens of automotive-related vendors appealing to auto enthusiasts of all ages. Some of the most highly anticipated featured in this year’s show include a live automobile and motorcycle auction, hosted by Superior Collector Car Auctions. Previewing for the auction will take place on Friday, November 27, 2015 and the live auction is scheduled to take place on Saturday, November 28, 2015 between the hours of 10:00 a.m. and 4 p.m. In keeping with tradition, the 19th Annual O’Reilly Auto Parts Rocky Mountain Auto Show will present The Art of the Automobile, featuring dozens of the industries most talented automotive artists, set up like an art gallery and including a live panel jam and art auction, where live hand painted original creations are designed and then auction off during the event. Last year the panel jam raised over $1,200 and 100% of the proceeds from the art auction was donated to St. Jude Children’s Research Hospital. Live art demonstrations will take place all weekend. 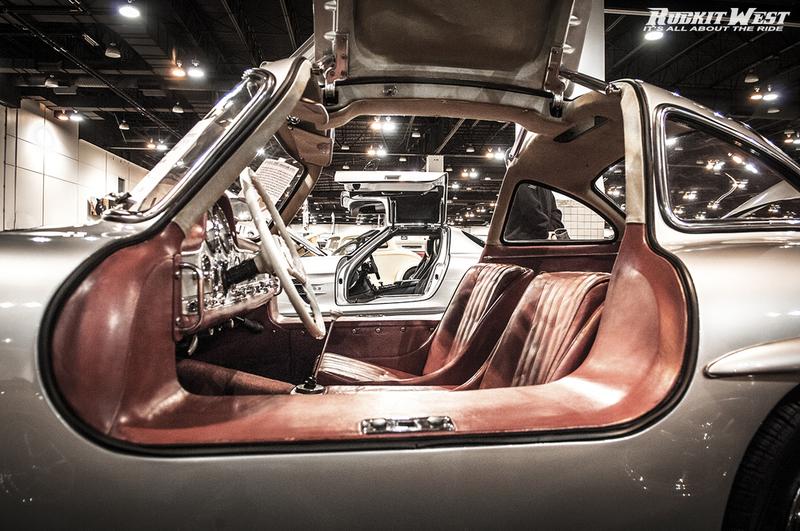 The 19th Annual O’Reilly Auto Parts Rocky Mountain Auto Show is so well-rounded and diverse that it captures the attention of people of all ages and automotive backgrounds throughout the United States. Half of the vehicles on display during the event are in completion with one another, contending for the “Créme de la Chrome” award, that comes with a cash prize in the sum of $5,000, sponsored by American National Insurance and a $500 cash prize to the best motorcycle, sponsored by Sun Harley Davidson. The 19th Annual O’Reilly Auto Parts Rocky Mountain Auto Show is presented by local, family owned and operated company, Greybeard Promotions, Inc. The Denver-based company has built a formidable reputation for producing quality automotive events. For more information about Greybeard Promotions, Inc. or the 19th Annual O’Reilly Auto Parts Rocky Mountain Auto Show, visit www.cremedelachrome.com, www.facebook.com/rockymountainautoshow.